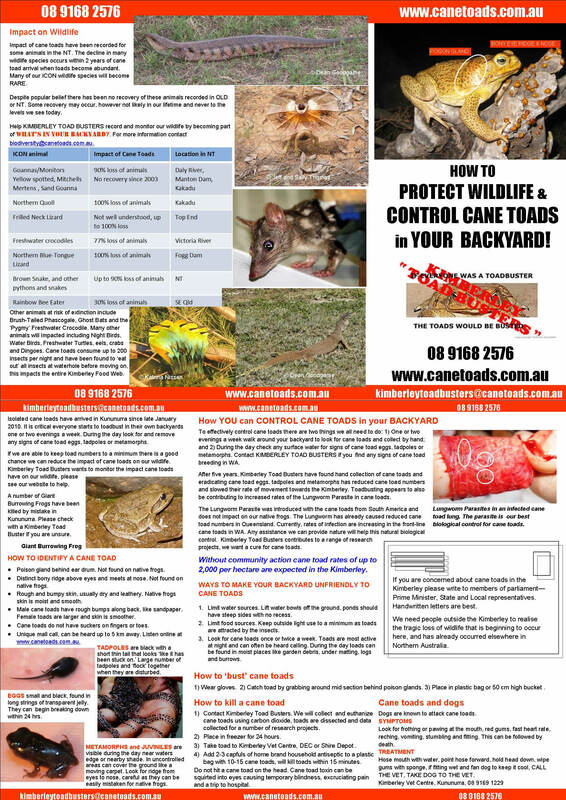 The work of the Community group Kimberley Toad Busters has clearly shown that by community involvement in controlling cane toad population numbers in a given area you minimise the chance of native predators attacking and consuming a toad, which in turn reduces the number of native animals dying as a the direct impact of the cane toad. 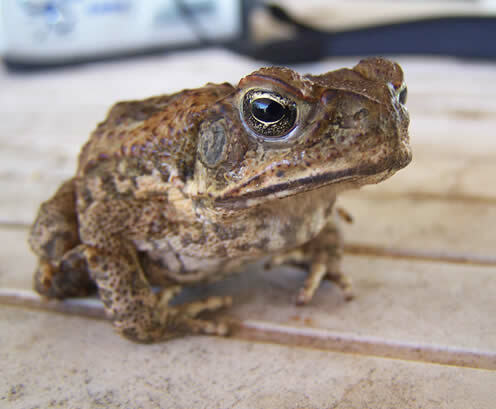 Keeping toad numbers (adult and all breeding cycles) under control also helps the smaller insect eating native predators such as frogs, smaller skinks and lizards by reducing food competition. 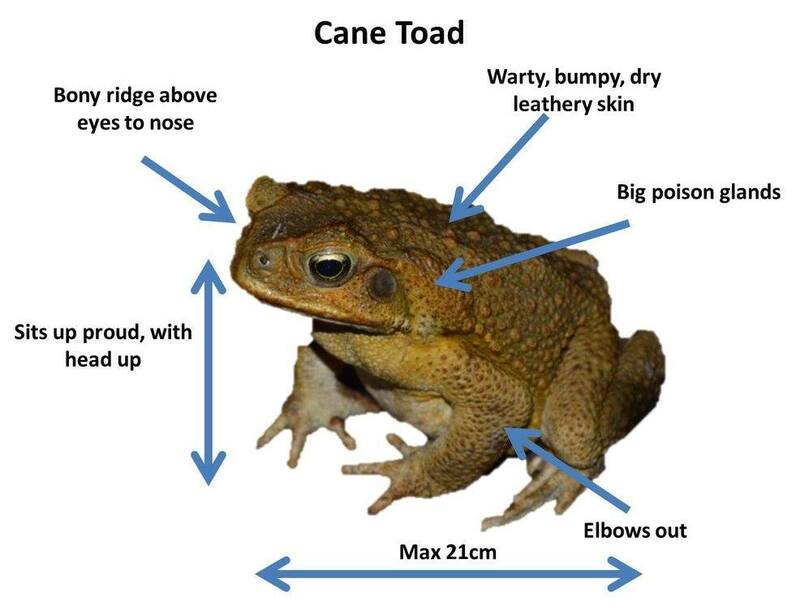 With cane toads capable of eating around 200 insects a night, uncontrolled numbers of cane toads increases food competition very quickly so the loss of smaller native species (full extent yet unknown) is probably quite significant (KTB research is supporting this conclusion). 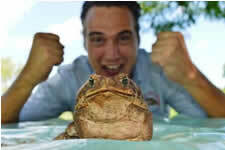 Kimberley Toad Busters field based research activities are primarily focussed on understanding the impacts of cane toads on wildlife and on developing ways to manage these impacts. 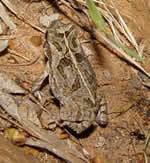 The 2009 Parks and wildlife audit "concluded that in many areas threatened species were not being effectively protected and recovered and that the number of threatened species was rising with only a few species improving"
Eight years later, the auditor's new report is rife with criticisms about the department, inferring poor management practices and a failure to adopt necessary changes. 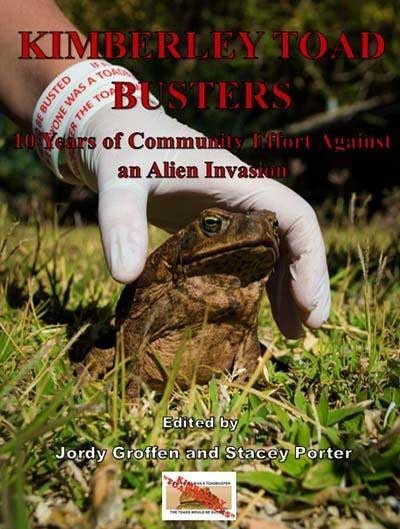 Dana Lyons "Cane toad muster"
Kimberley Toadbusters Busters: 10 years of community effort against an alien invasion is now available in hard copy for a donation. 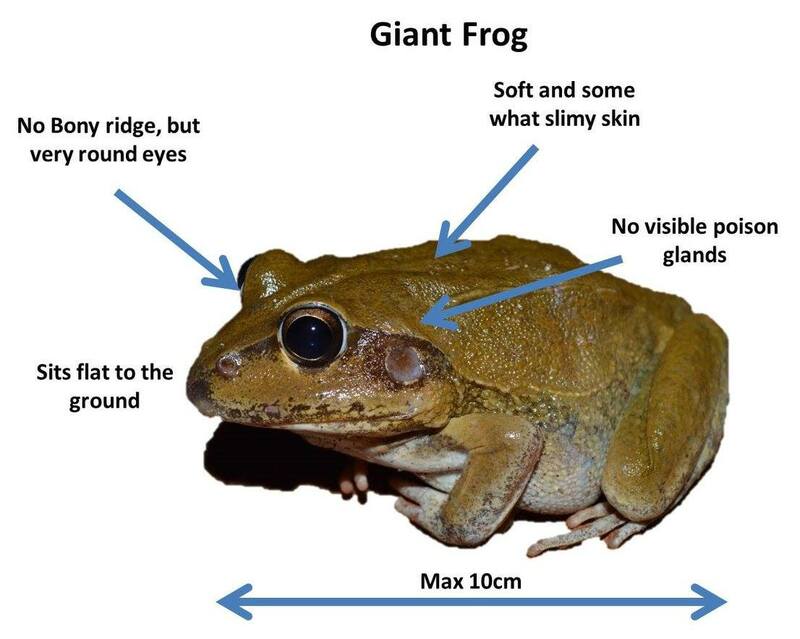 KTB Nicholson Station Marella Gorge biodiversity study looking at short term impacts of the cane toad on native biodiversity have now been completed. 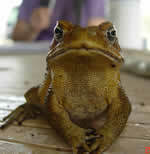 Jordy Groffen , KTB animal scientist in charge of the project is currently analising the data. Report available on request. 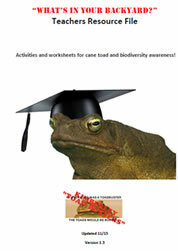 Cane toad facts you may not know! 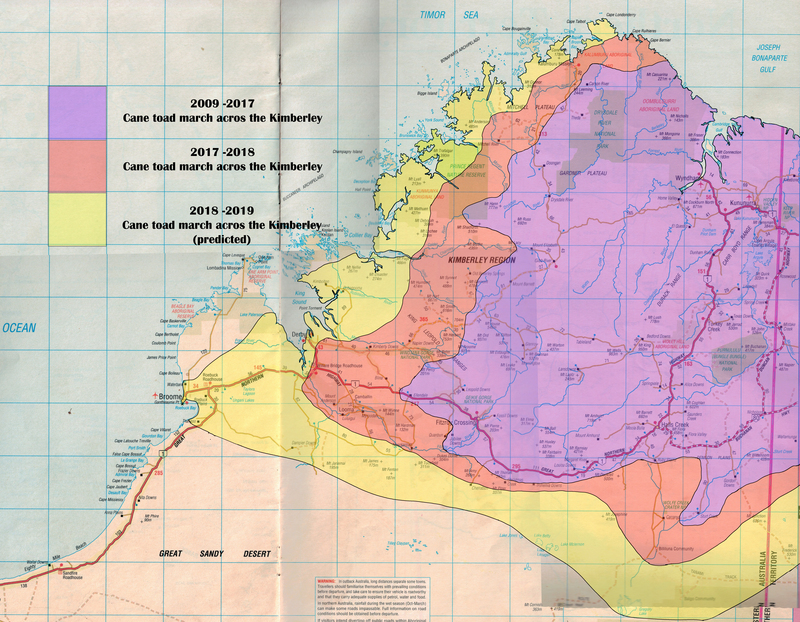 "It is important to recognise that the pristine terrestrial and aquatic habitat systems of the Kimberley are already under threat. 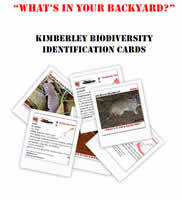 Current land care and resource management policies undertaken by land and resource managers have had a detrimental impact on Kimberley biodiversity. Most of our plant and animal biodiversity is in a fragile state. 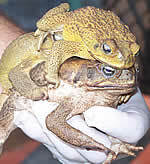 The impact of the cane toad, if allowed to happen, will literally destroy one of the last unique biodiversity wilderness frontiers in Australia," Lee Scott-Virtue. Kimberley Specialists in Research april 2005.